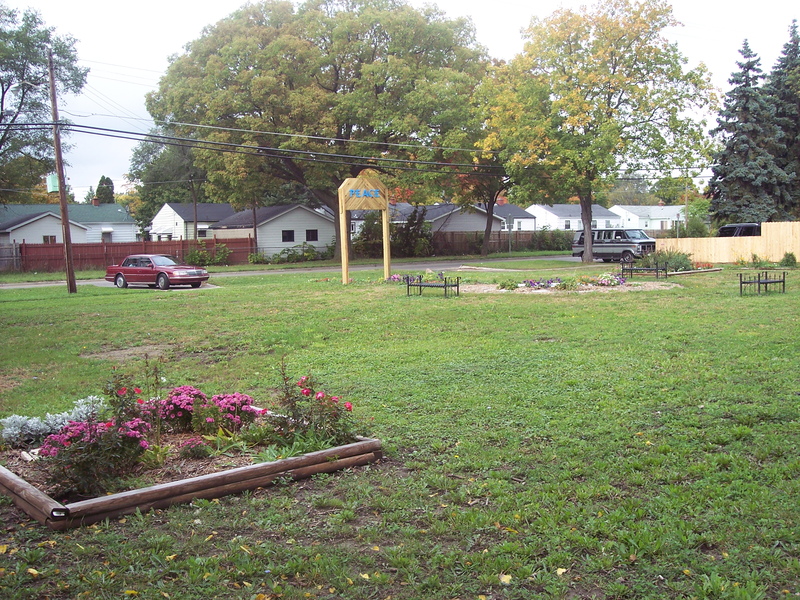 The Tulip Garden was a mini-project completed in the fall of 2007. At the start of a YES meeting, the students expressed concern that no one was taking care of the raised beds in front of their school. 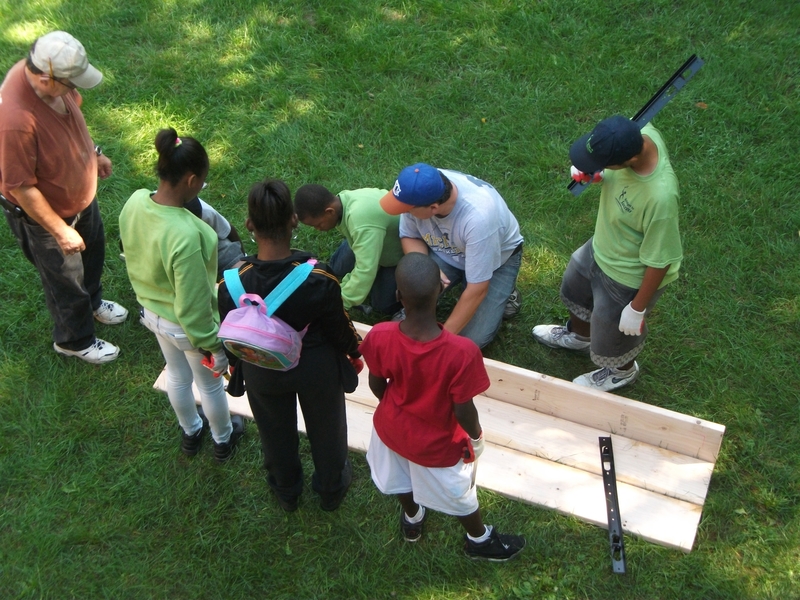 After discussion, the group decided to adopt the raised bed. The youth decided that they would like to clear the bed and plant tulips for the spring. 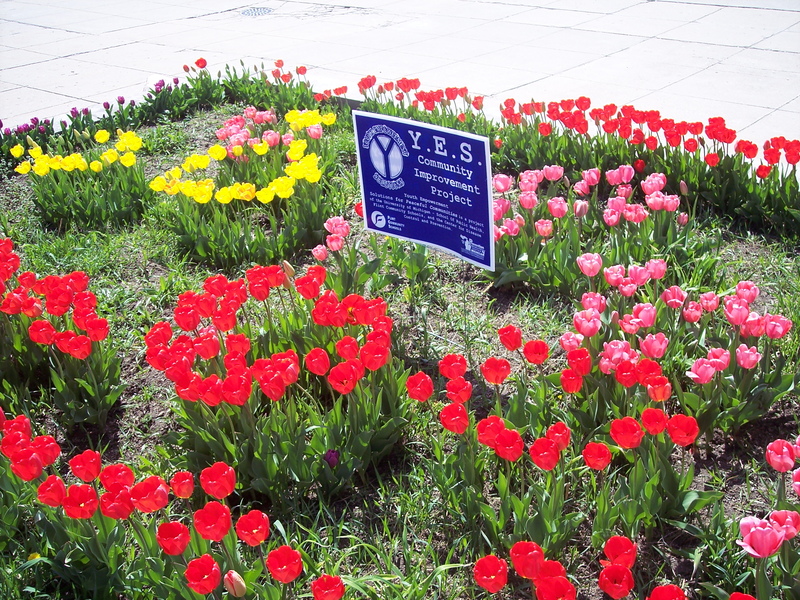 Participants contacted a local garden shop that had been impressed by the YES efforts at the Rosa Parks Peace Park project. YES purchased 100 tulip bulbs and the garden store provided a 3 to 1 match- for a total of 400 tulip bulbs! 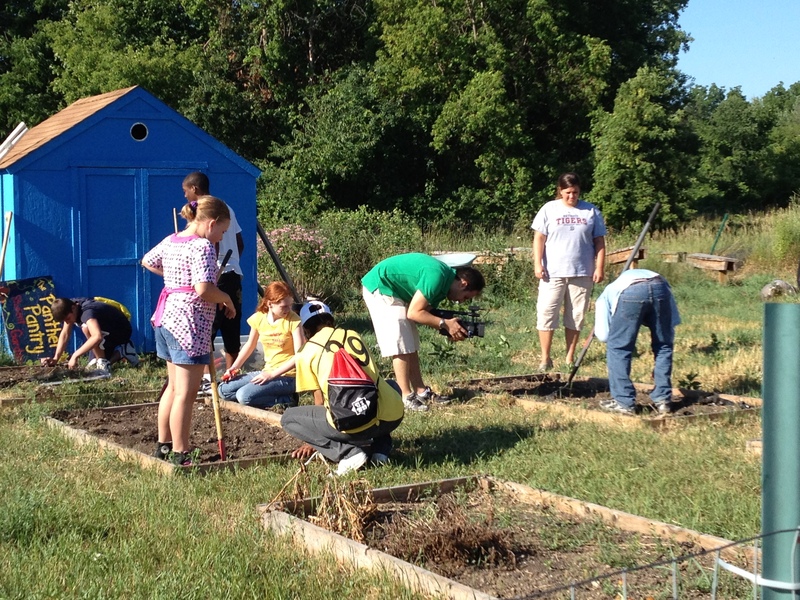 The participants learned how to plant bulbs, and planted more than 300 bulbs in the garden. Each student also received bulbs to take home and plant at locations of their choosing- further beautifying the community. The next spring they planted other perennials and annuals in the bed. 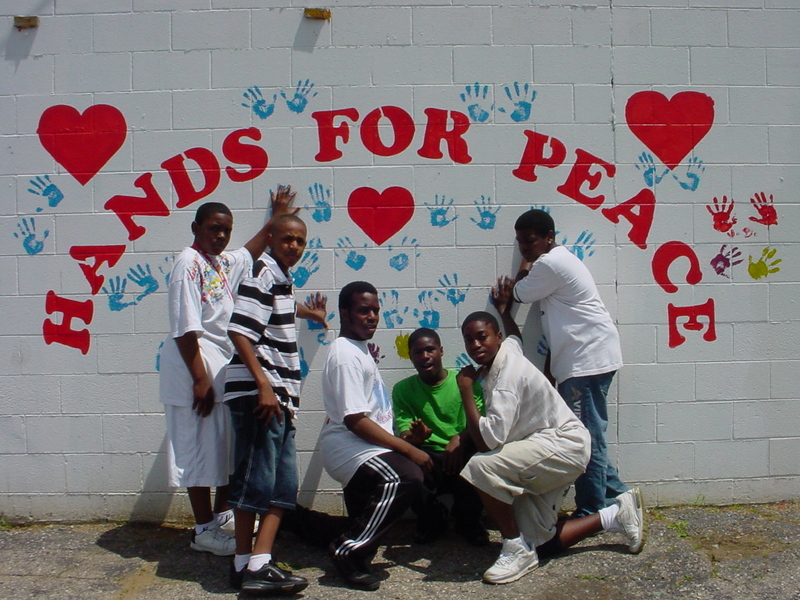 The Hands for Peace mural was created by participants in the Youth Empowerment Solutions for Peaceful Communities at Holmes Middle School in 2005 and 2006. 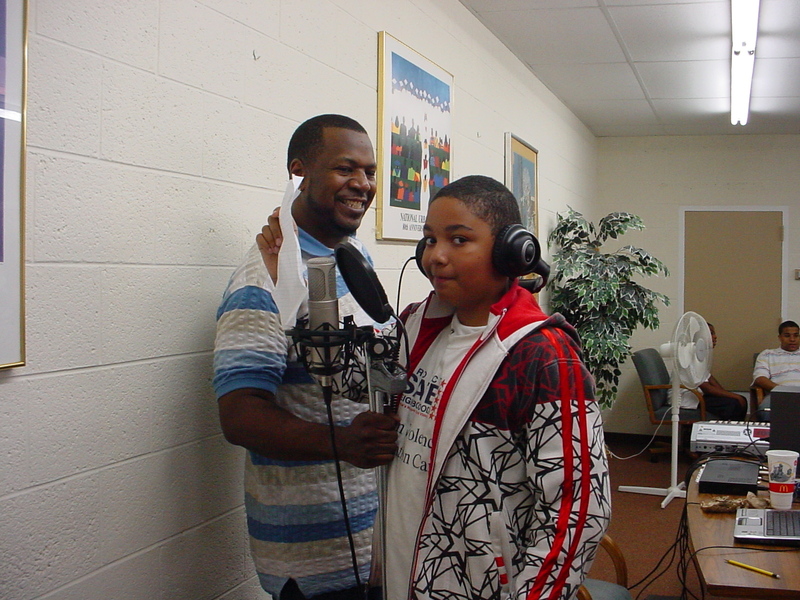 In 2005, the students wanted to get the word out about YES. After getting the owners’ permission, the participants whitewashed the wall of a local convenience store and painted the YES logo. The next year, the idea to add the “Hands For Peace” section came from an idea to pledge to stay violence free. Students stenciled and painted the “Hands For Peace” message on the wall below the YES logo. Participants, staff and community members painted their hands and put their hand prints on the walls as a demonstration of their commitment to that pledge. The YES youth in Flint identified the graffiti on the sides of locally-owned stores as a community liability. They felt that the graffiti was a symbol of violence and they wanted to paint a mural over the graffiti as a way to communicate the importance of non-violence. 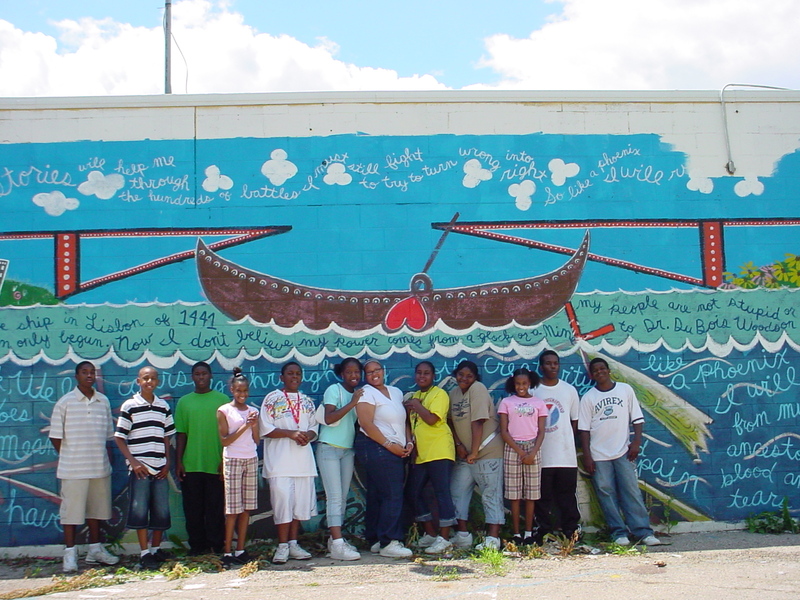 The Boat Mural, which was competed in 2007, represents several themes. 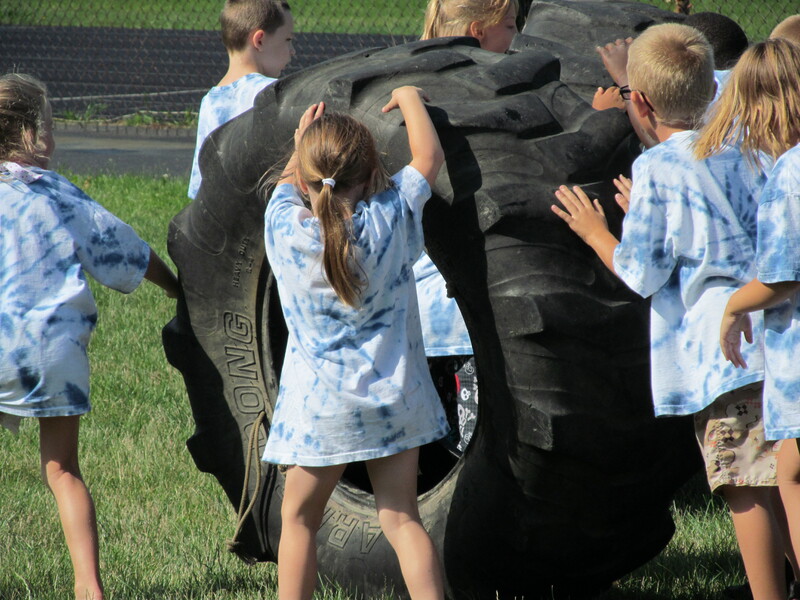 The youth worked as a team to generate the themes: intergenerational connections, community liabilities and the desire for the community to move forward. The bridge represents inter-generational connection between adults (represented by the buildings, with strong foundations) and youth (represented by the flowers, as new growth). Community liabilities (bottles, handcuffs, gun) are under water to indicate the community is moving past them. The boat represents the importance of love in bringing the community together. The writing on the wall is a poem written by a YES alumni the previous year. The students liked the poem and had it incorporated into the mural. A local artist helped the participants to merge those themes and words into a paper draft of the mural. The artist outlined the picture and the words on the wall and the students applied the paint.